Back in the spring, Ralphie came to pick up her daughter from my house and brought with her the library copy of Edenbrooke. But I am an idiot, and I did not. (I did return it on time, though, because I am a good person). Over the next months, I kept hearing it mentioned, and so, when we moved to North Carolina, it was one of the very first books I checked out from my new library. And then it sat in my library basket for months (clearly, taking advantage of the fact I can renew my books FIVE TIMES here). Finally, when I was packing for my trip to Cincinnati last week for Pampers Blogger Day and anticipating two child-free flights, I stuck it in my bag (airplanes are my trick for reading books I keep MEANING to get around to reading because there aren’t many distractions on an airplane. One can only look at ridiculous products in the SkyMall magazine for so long). And so it came to pass that on the flight home, I finally read Edenbrooke. And, as Ralphie had promised, I did indeed love it. In fact, the very first thing I did when my plane landed back in North Carolina was text Ralphie and say, “YOU WERE SO RIGHT. I OWE YOU BIG TIME.” I may possibly have used less caps. But not many less. I went home and finished it over lunch, which made the adjustment from luxury accommodations in Ohio back to eating leftovers much more pleasant. 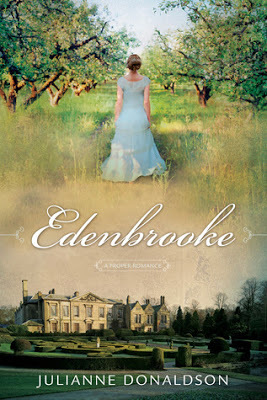 Edenbrooke is a regency romance, which is not a genre I read a lot of. To be honest, the only Jane Austen book I’ve ever read is Pride & Prejudice, which I read with my mom when I was in high school. I’m more a fan of the movie versions, like the low-class citizen I am. The genre, actually, is why I put off reading it for so long. But this one definitely has a modern style to it – there aren’t looooooong descriptions of dresses or people or the landscape. The story moves right along. I loved every second of it. It follows Marianne who has lost her mother just over a year earlier. Her father promptly deposited Marianne in Bath with her grandmother, and Marianne’s twin sister, Cecily, in London, and fled to France with his grief. While Cecily seems to be adjusting to the life of a socialite just fine, Marianne is bored and unhappy in Bath. So when Cecily writes to invite her to Edenbrooke, the country estate of the wealthy family Cecily intends to get herself married into, Marianne is quick to agree. She’s not very interested in Cecily’s love life or getting married herself, but she is desperate to leave Bath and she really wants to live in the country again, which she’s missed deeply since her mother’s death. But, of course, things aren’t all that smooth. First there is a run-in with a highwayman and a hasty stop at a nearby inn to get various wounded members of the party patched up (and dinner with a handsome, but somewhat rude young man (Hello, Mr. Darcy character. Glad to see you show up so quickly). Then, when she arrives at Edenbrooke, not only does she discover that her sister and the rest of the party aren’t planning to arrive for another week (making Marianne feel that she’s intruding), but the man from the previous evening is part of the family, which means . . . the beginning of some sort of romance, obviously (if you think this is a spoiler, you’ve never read or seen anything Regency, in which case, I’m guessing this won’t be the first. I refuse to apologize). I couldn’t stop laughing on the plane as the relationship between Marianne and Philip develops. They are both quick-witted and unwilling to let the other get the last word, and . . . basically that’s all I ever want in dialogue. In this type of book, you know how the end is going to wrap up, so it has to be fun and enjoyable getting there. And it was. It was absolutely delightful. Is this going to stand the test of time like Jane Austen? Very unlikely. Did I care? Not even a little. 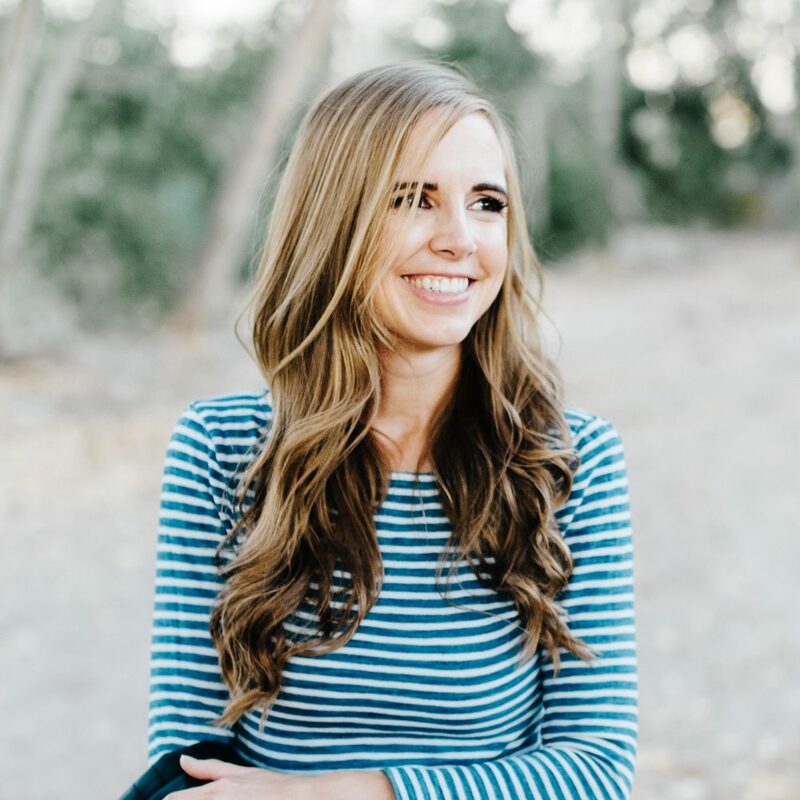 Did I already request her next book, Blackmoore, from the library? Indeed I did. I just love Edenbrooke! It's one of those books I want to read when I'm in a bad mood, because it just makes me happy. Sadly, I didn't Love Blackmoore as much–I enjoyed it, but I missed the witty repartee of Edenbrooke. I'm so glad you liked it! I loved it for all the same reasons you did. And Blackmoore is a treat, too! i've had sooooo many people recommend edenbrooke to me, and i even own it (how can i pass up a $1 kindle book? ), but i've yet to read it. soon, i promise! Your review is spot on. I rarely read this genre either but enjoyed Edenbrooke and Blackmore. Totally agree! Edenbrooke was a delight, even though it's not a genre I read often. 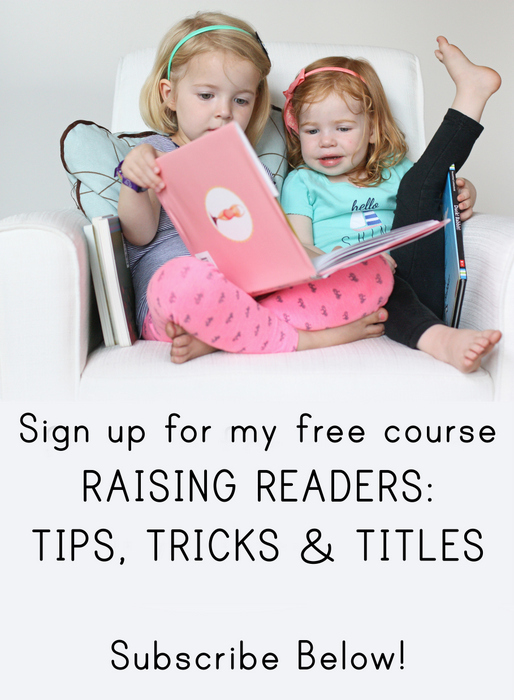 And thanks for letting me know about Blackmoore… reserved! I also enjoy books by Georgette Heyer. They are Regency, but were written in the 30s-60s, so they are much more readable than Jane Austen. The characters are very witty and fun. My favorites are The Grand Sophy and Arabella. The scene with him writing an "example" of a love letter? I just died. Broke my heart and made me happy at the same time. You and me? Very good friends. Yes, indeed. Did I audibly chuckle thrice while reading this review? Do I now really, really want to read this book? Do I still think you need to give North and South a chance even if it's Victorian era? I'll let you decide. Janssen, I am so glad you love this book, because I loved it!! I think Adam thought I was a little crazy when I told him I had finished it and then I continued to re-read it for the next week… I didn't know about the sequel, so I will definitely have to get that!